Given a rope. We have to find the probability of cutting a rope into 3 pieces such that they form a triangle. Let the length of rope be 1 unit. We choose two points X and Y on the rope. 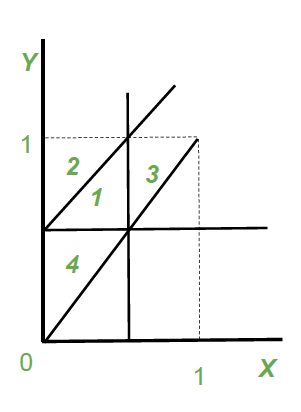 Below line diagram shows the partition rope. 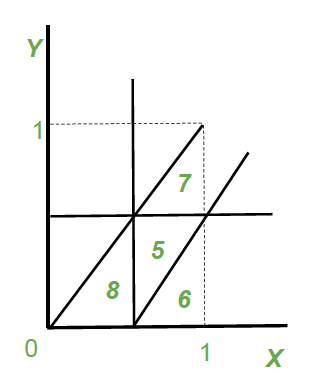 In both cases we get same required area, thus area required will be: 1/8. Area required/Total area = (1/8)/(1/2*1*1) = 1/4 = 0.25.